And the award for longest product title goes too.. I truly believe that cosmetics companies spend days holed up in a boardroom determining how many words they can put in a name without it sounding too ridiculous. But I digress, let’s get back to the matter at hand. One of the latest releases from the brand is the Double Wear All-Day Glow BB. Up until now the Double Wear name made me think of high coverage foundations typically used by people that don’t want any of their natural skin showing through, and that’s a little too intense for me. Those features aren’t usually what I search for in bases. I like them to be light and difficult to detect on the skin, with a bit of coverage to even out imperfections but never fully hide what is underneath. I like to show a little skin, no pun intended. That’s why I initially wrote off this product, but as I read some reviews and people were raving about it, describing this as a BB with just a tad more coverage, my spidey senses started tingling. I felt like I would need to try it. So I went out and got it, as you do. 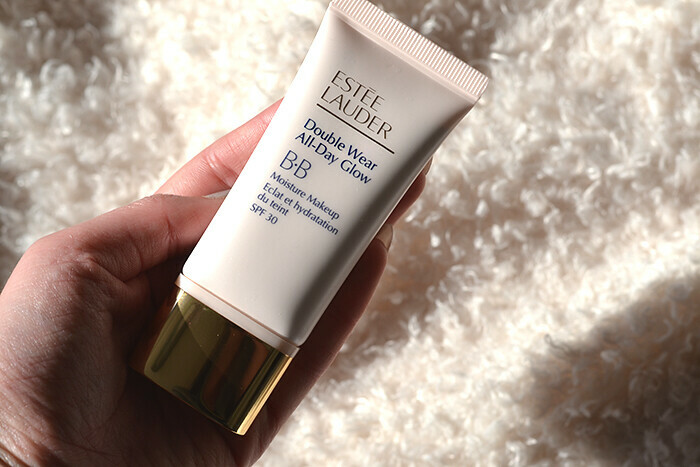 I would say that the Estee Lauder Double Wear All-Day Glow BB is more like a light foundation than it is a typical Western BB cream. Which usually tend to be more glorified tinted moisturizers than anything else. The product comes in eight available shades, an acceptable range but definitely room for improvement if they wish to cater to everyone. But there are some thing about this product that makes it fully worthy of the must have product indication. First of all it provides a gorgeous lightweight dewy finish. The product sets feeling like a matte finish – dry and not sticky at all - but it looks satin on the skin, and that’s the way I like it, hardly detectable if blended right. The staying power of this is also incredibly impressive, I would say it lasts as long as a light to medium coverage foundation, set it with the Estee Lauder Double Wear powder and it won’t go anywhere until you are ready to remove it. It seems pretty water and sweat proof, always a plus during the hot stuffy weather we seem to be having at the moment. The BB also has added skin care benefits that keep you looking fresh and moisturized during the day and it comes with an SPF of 30. Pretty impressive, right? I like applying this with my Real Techniques Buffing Brush but it works fine with fingers as well. If you have any persistent imperfections just add a bit of concealer (I like the Maybelline Fit Me concealer) and you’ll be looking perfect but natural. And that’s just the way I like it. 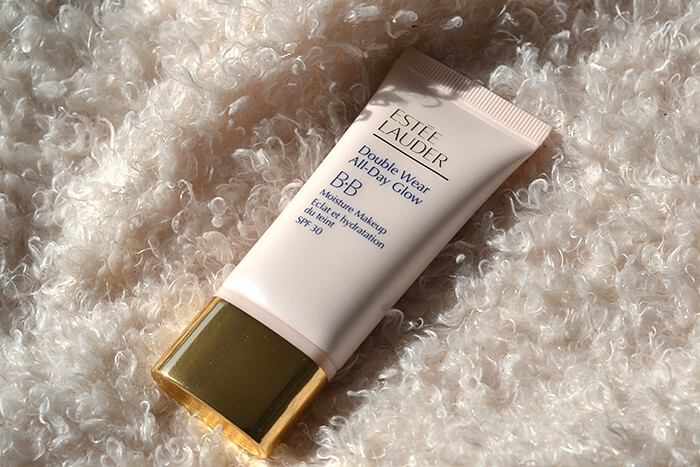 The Estee Lauder Double Wear All-Day Glow BB is available now online or at Estee Lauder counters.